Charles Elloy and Dimitri Mathon, 5th year ECAM Arts et Métiers students, won the Sepetember 2018 Smart Logistics Challenge, as well as the public special prize for their collaborative robot project. 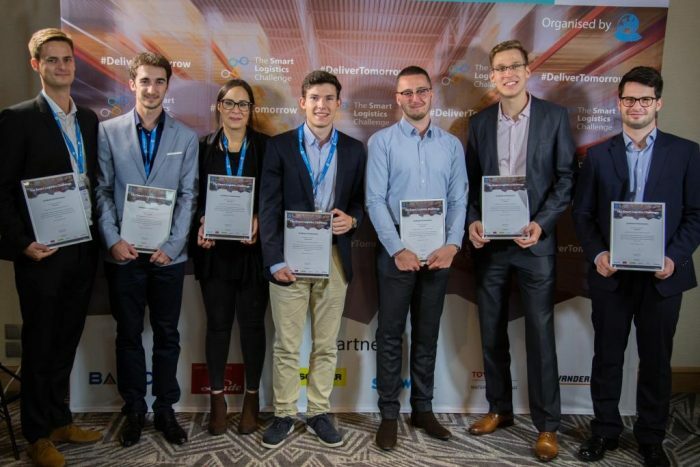 The Smart Logistics Challenge, created by the European Materials Handling Federation (FEM), is a European initiative that has students give innovative solutions in logistics. Confronted with the requirements from e-commerce and industry 4.0, logistics companies have to evolve non-stop to ensure delivery of goods in the best condition and as soon as possible. A pressing need for innovation and new ideas is at the forefront for initiatives such as the Smart Logistics Challenge. “Our objective for this competition is to let young students get acquainted with inspiring subjects such as new technology in the materials handling sector and to think about the future of the profession,” explains Christophe Lautray, the FEM President. Charles and Dimitri wanted to confront real industrial problems as early as April, 2018 and went into the international Smart Logistics Challenge organized by the FEM through their R&D project that they developed over six month during their studies under the ECAM Lyon Industrial Management Department. Every year, over 600 million pallets are processed in France. To ensure that the products are in good condition, the pallets are wrapped in plastic. Wrapping and unwrapping adds little value and is repetitive and unpleasant for workers. 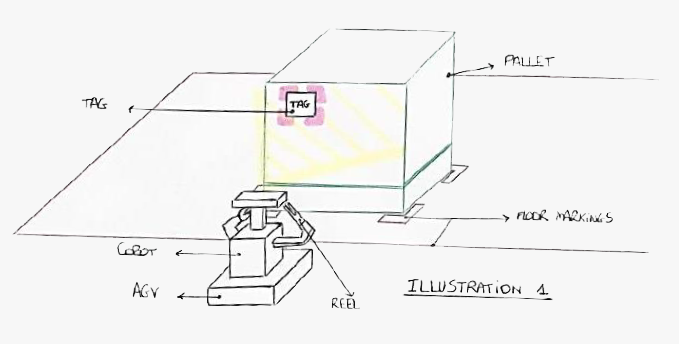 That is why most wrapping is done by machine, but unfortunately, there is no easy solution for unwrapping pallets. When Charles and Dimitri started the Smart Logistics Challenge, there were over 570 competitors from 26 countries. At the end of the first round, only 30 projects advanced to the second round where students were guided by experts from industry to finalize their concepts. The ECAM Lyon students had the chance to work with the CEO from Balyo, a young company with strong growth that is specialized in robotic carts. During the July 30, 2018 finals, the challenge’s jury emphasized to major innovation that Charles and Dimitri’s project brought to the industrial sector that fulfills a real need in the current supply chain. The team from ECAM Lyon was declared the winner out of five finalists, an acknowledgement of the work from the two students and the School which was the only French finalist in the European challenge. 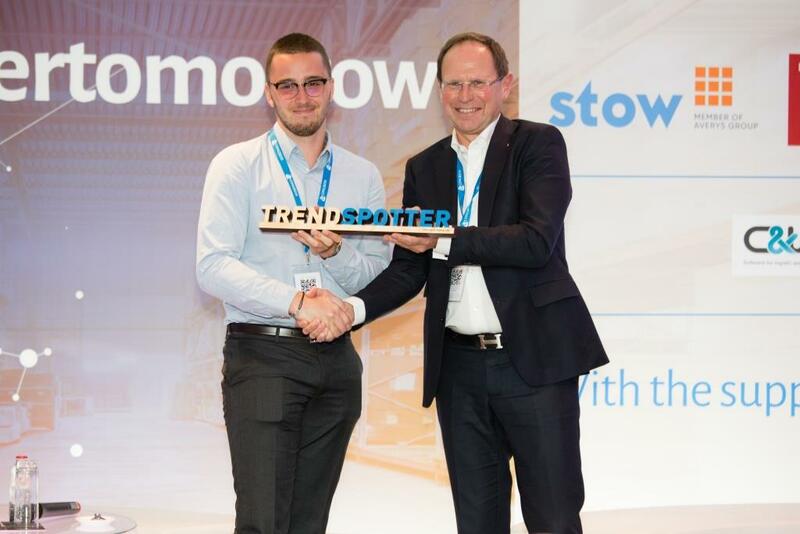 The team also took home the Special Public Prize “TrendSpotter Award” on September 14, 2018.